The Victories of the A.E.F. Prior to General Pershing deploying a full field army, U.S. Divisions of the A.E.F. served alongside the French and the British Armies, under Allied command. Right from the start, the American soldiers illustrated themselves during offensive actions. General Pershing who had long sought an American zone of operations was finally allowed for independent initiative at the Battle of St. Mihiel, the first U.S. the first engagement of an independent American Army. 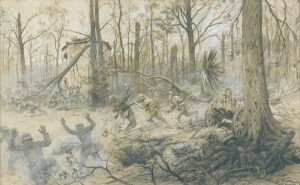 Cantigny, the First Battle of the A.E.F. 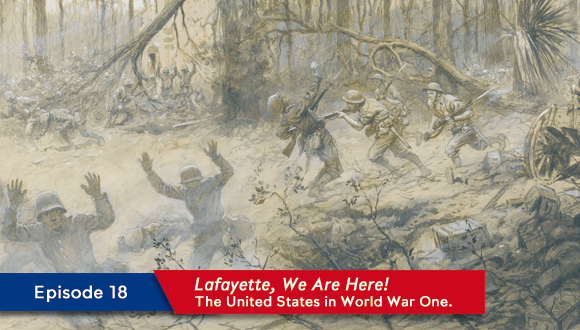 On 27 April 1918, the 1st French Army including the U.S. 1st Division were ordered to capture the highly fortified village of Cantigny in the Somme region. Although the objective was gained, the cost in American lives was enormous. This battle was to be the American battle of the war. During the German Spring of 1918 the Germans launched a series of attacks. 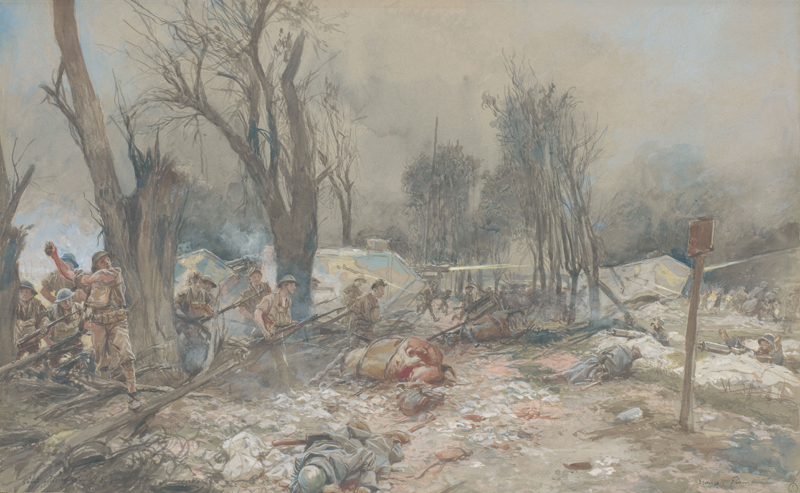 They stormed through the French lines in Aisne and advanced to the Marne River at Château Thierry, thus threatening the lines protecting Amiens and Paris. Along this line of advance, the Germans dug in heavily defended positions. Belleau Wood was one of them. 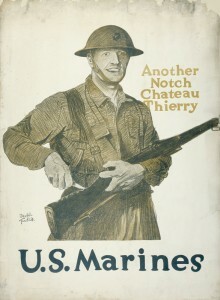 On June 1, as Château-Thierry and Vaux fell, the U.S. 2nd Division, made up of units of the U.S. Marines of 4th Marine Brigade comprising 5th and 6th Marine Regiments took up positions south of Belleau Wood. For the next three weeks, the Marines launched many attacks, backed by U.S. Army. Finally, on June 26, the Marines were victorious. 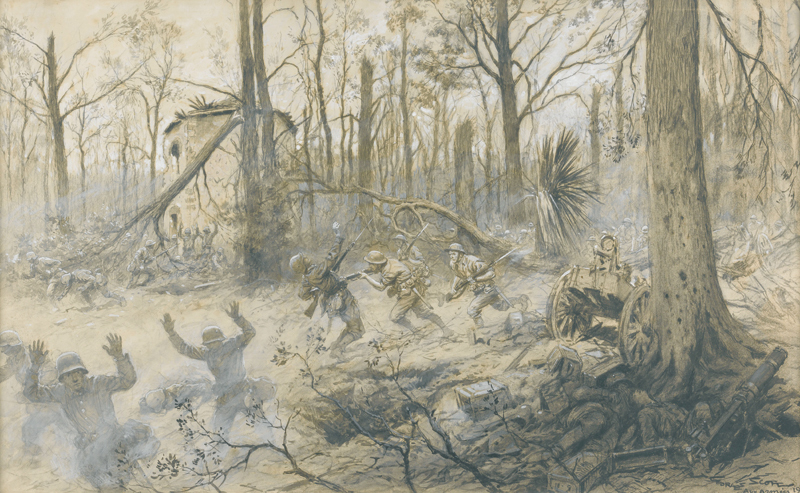 The Battle of Belleau Wood was the first large-scale battle in which the A.E.F experienced heavy casualties due to a lack of early artillery fire; it was also the Battle that immortalized the U.S. Marine Corps. Under the command of General John J. Pershing, the 1st Army of the A.E.F. (16 U.S. divisions: 610.000 men, 3.000 pieces of artillery, 50.000 tons of ammunition and 200.000 tons of supplies) launched a major offensive operation in the sector of the St. Mihiel salient that had been occupied by the Germans since the autumn of 1914. The 1st Army had to liberate the strategic point of transportation of Paris-Avricourt Railroad in order supply the coming Meuse-Argonne. The objective was gained on the evening of 12 September 1918, and put an end the suffering of the civilian population following four years of German occupation.